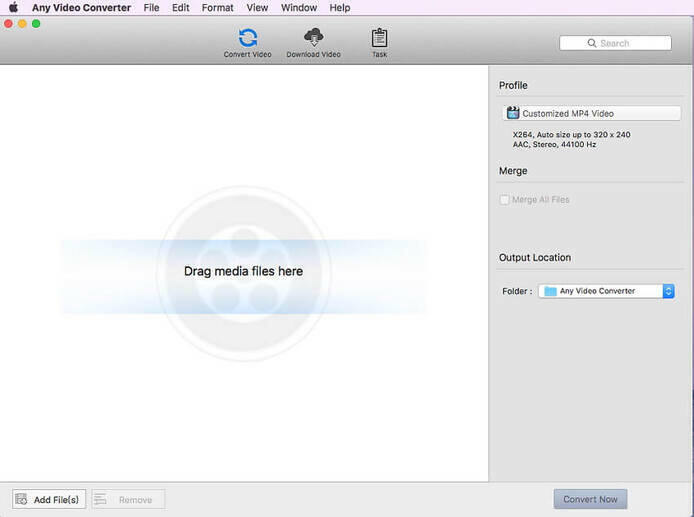 Free media converter Mac: Convert media files to 1000+ formats, like MOV to MP4. Free audio converter Mac: Convert video/audio files to MP3, AAC, AC3, FLAC, M4A, M4R, etc. Free DVD converter Mac: Convert DVD to MP4/MP3, or convert video to DVD, and more. Video converter for devices: Convert files for iPhone, iPad, Blackberry, TV, Xbox, and any other device. Convert YouTube to MP3 in one click on Mac. Sync YouTube videos/music to iTunes automatically after conversion. 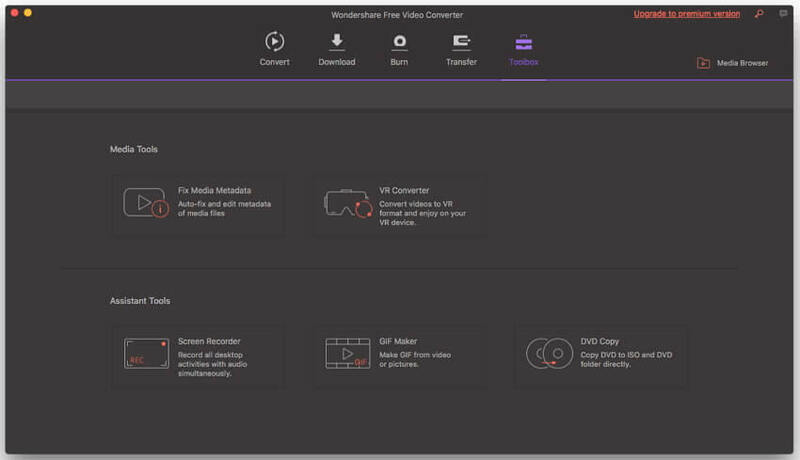 Wondershare Free Video Converter for Mac includes many bonus features which makes it the best video converter for Mac. 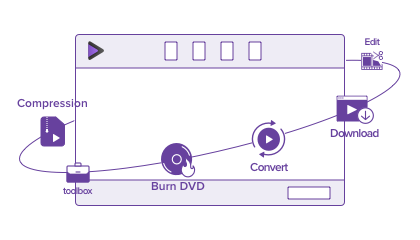 Compress video by adjusting file parmater like bitrate, frame rate, encoder so that you can enjoy videos on mobile devices freely. Cut unnecessary part of your video/audio segments to make file smaller. 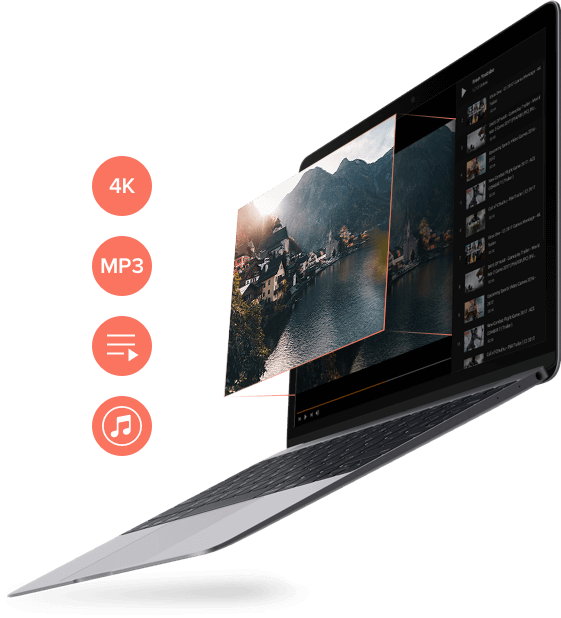 Under the "High Speed Conversion" mode, you can convert videos like MP4, MOV in 4K, FHD 1080p, HD 720p losslessly with the Mac video converter. Free Video Converter for Mac supports HEVC/H.265 video coding which can compress video to smaller size with high video quality. 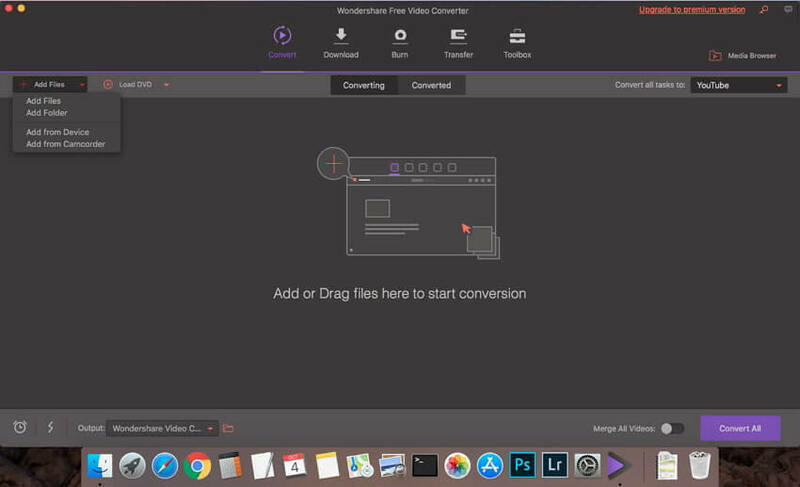 Record your desktop activities with voice by Wondershare Free Video Converter for Mac, like recording tutorial or games and sharing with friends. With this free DVD converter Mac, you can easily convert DVD to ISO or DVD folder to back up DVD content on your computer. After the Mac video conversion, you can easily transfer converted videos to iPhone, iPad, flash drive, and more for easy watching or backup. Video to GIF: You can convert video to GIF for easy sharing. It supports setting start time, end time, output size, frame rates, and target path. 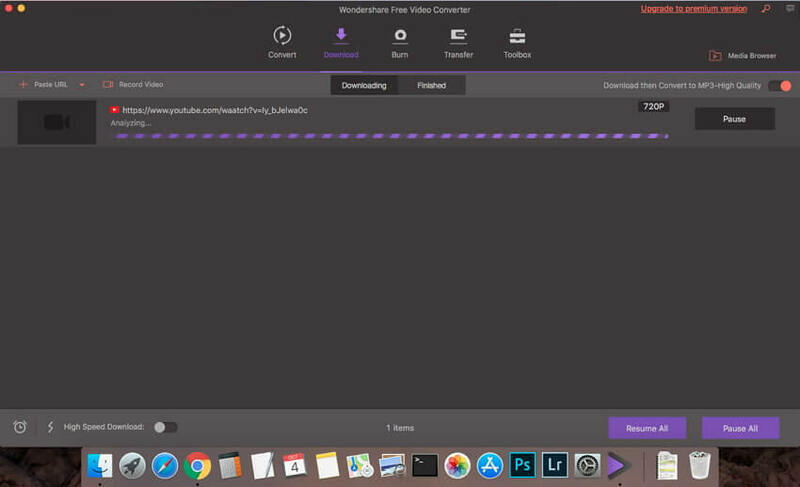 In order to highlight your user experience, you can upgrade Wondershare Free Video Converter for Mac to the premium version to remove watermark and enjoy advanced features without any limits. Upload converted videos to YouTube, Facebook, Vimeo directly. If you are a Mac user, there are a myriad of options when it comes to free video converter for Mac. From the long list, choosing the right program becomes important for hassle-free and quality process. To help you with the same, we have picked the top 5 free video converter Mac. Best Video Converter for Mac allows lossless quality conversion and supports almost all types of formats and codecs. To facilitate professional video conversion at super fast speed, Wondershare Free Video Converter for Mac is an ideal choice. This software once installed on your Mac allows converting your videos to an array of formats including audio files. With batch processing, multiple files can be converted to save a lot of your time. The conversion process is super fast and results in lossless quality files. 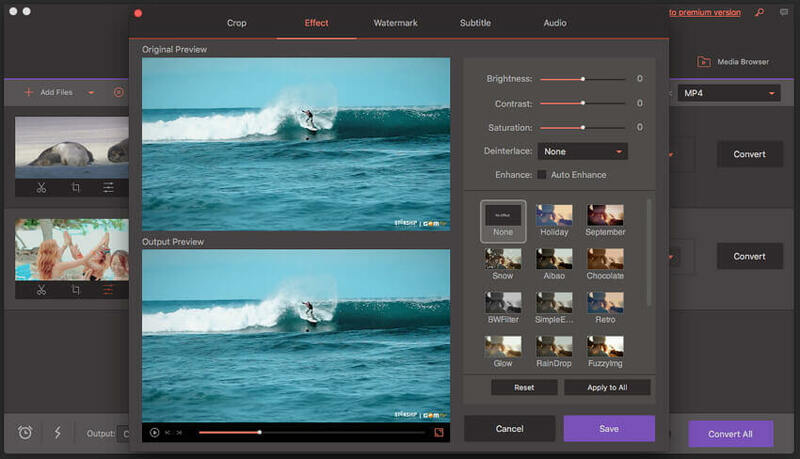 The built-in video editor can be used to cut, crop, trim videos, and add subtitles to the videos before conversion. More to the list are DVD burning, video recording, YouTube video download, and file transfer. For more features and functions, you can even upgrade your free program to the premium version. 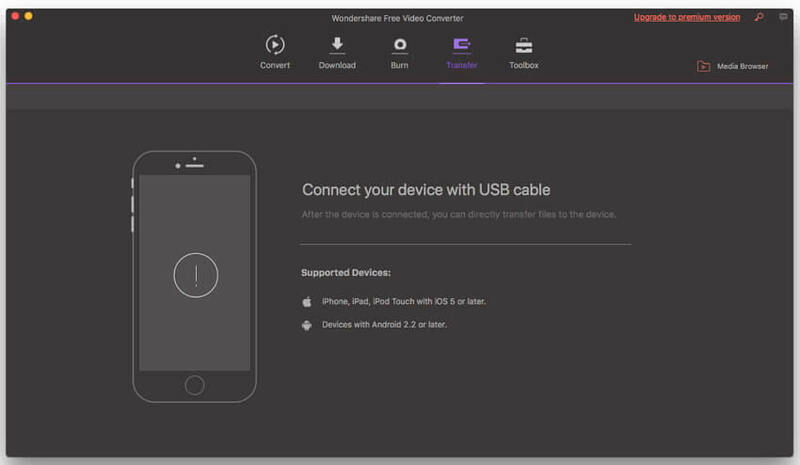 Step 1: Open Wondershare Free Video Converter for Mac and import video files. Launch Wondershare video format converter Mac after it is successfully downloaded and installed on your Mac. You'll enter the Convert tab by default. Click the +Add Files button to import local videos. You can also add a complete folder or multiple files at a time to convert video to MP4 or MP3 in batch. The added files are shown as thumbnails with video details. Under the thumbnail, there are editing icons for trimming, cropping, adding subtitles, and more. Step 2: Choose MP4 or MP3 as the output format. After files are added and edited, click the drop-down menu beside the Convert all tasks to: option on the top-right corner. A pop-up window will appear from where choose the Video tab for MP4 format or the Audio tab for MP3 as your target format. Step 3: Convert video to MP4 or MP3 on Mac. Select the destination folder on this Mac converter at the Output tab. Finally, click Convert All to start processing and converting your added videos to MP4 format or MP3 format. 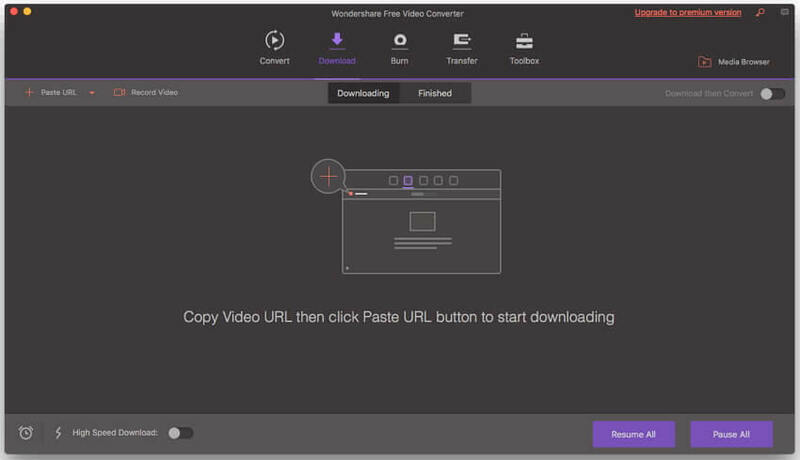 Using Wondershare Free Video Converter for Mac, YouTube files can be directly downloaded and converted to MP4, MP3 and other formats in a click. Step 1: Copy YouTube video link on Mac browser. 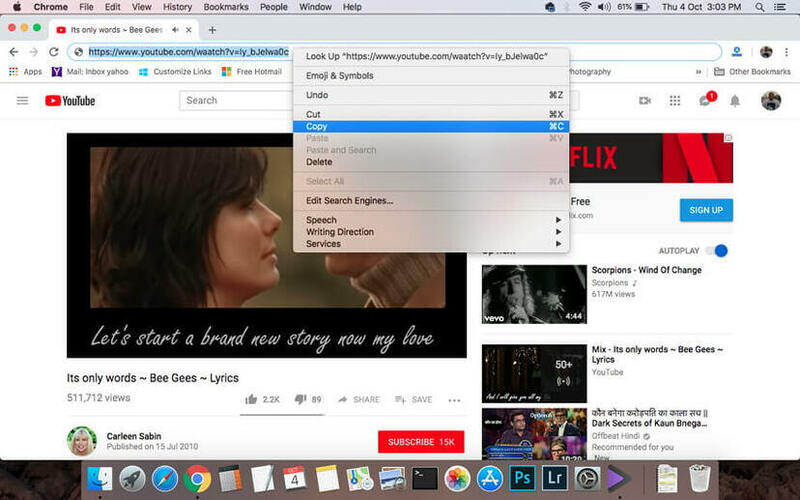 Open YouTube video that you want to download and convert on your Mac browser and copy its link. Step 2: Launch Wondershare YouTube Mac converter and select MP3 as default download mode. 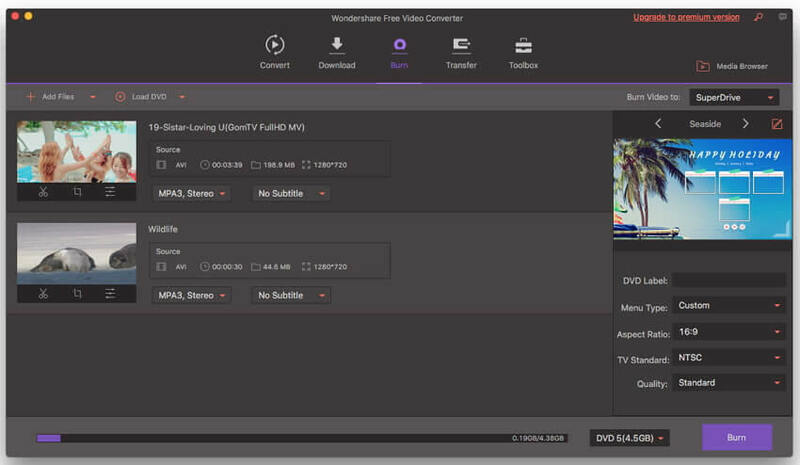 Open the installed Wondershare Free Video Converter for Mac on your system. From the primary interface, click the Download tab at the top. On the top-right corner, there is a toggle for Download then Convert Mode. Move the toggle to the right to open a pop-up window. Select MP3 from the Audio format list and choose the quality of the file. Step 3: Paste copied link to start downloading YouTube video to MP3 format. Click on the +Paste URL button that will automatically paste the copied video URL to the interface. After the URL is analyzed, the software will start downloading it in selected MP3 format. The Finished tab will show the downloaded and converted YouTube video. The converted video can be directly transferred to iTunes library if you have enabled the option "Automatically add files to iTunes library after conversion" in the Menu > Preferences > Convert. Multi-platform Mac video converter with support to an array of input formats. 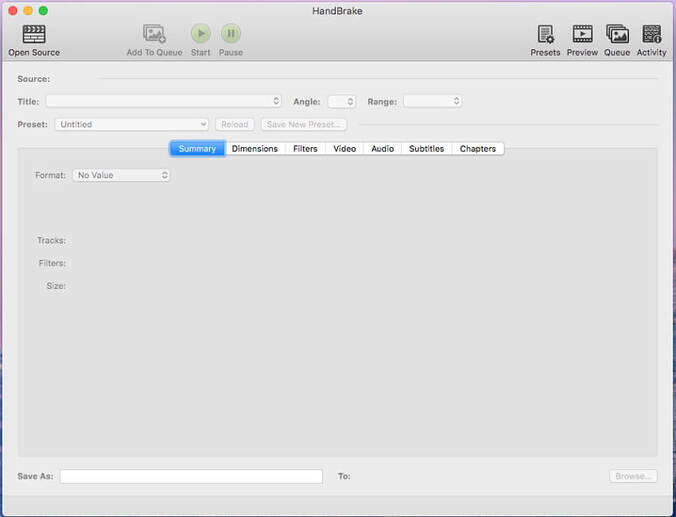 Handbrake for Mac is a popular video conversion tool that is compatible with Mac, Windows, as well as Linux system. This free and open source program is simple, fast and easy to use. All popular multimedia formats, as well as DVD and Blu-ray files, are accepted as input by the program. The supported output formats include MP4 and MKV with different encoders. In addition to specific formats, the program also allows conversion to devices including Android, iPhone, Fire TV, and others. To enhance the overall conversion process, additional features include batch scanning, live static and video preview, title and chapter range selection, and others. Free file converter Mac with support to a wide array of input and output formats. This Mac video converter tool supports over 100 input formats and 160 output formats for taking care of all your conversion needs. An array of the output device is also supported by the program for conversion including iPhone, Android, Kindle Fire HD, Xbox 360, and others. You can rip audio files from your videos as well as CDs using the software. Some of the supported audio formats include MP3, OGG, WMA, WMV, FLAC, and others. Video download from over 100 sites including popular names like YouTube, DailyMotion, Facebook, and others is supported. Audio files from YouTube can also be downloaded for music playback. 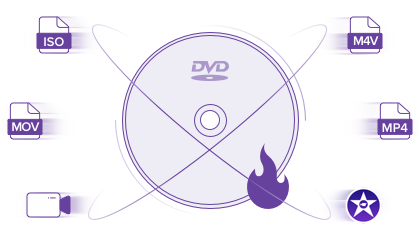 The editor of the software allows to crop, join, trim, rotate, add special effects, and perform other editing functions. Prism Video File Converter for Mac is a versatile program that allows converting your files between some popular formats. To customize the files, the software allows adding watermarks free. But to trim video or crop video, you need to upgrade to the premium version. Online video converter software for Mac without any need for download or installation. Online Convert is a widely used online tool that allows converting your videos to all popular formats like MP4, 3GP, AVI, FLV, and many others. The program is free to use and can be operated directly from your Mac browser. Thus, there are no hassles of any download or installation process. In addition to local videos, you can also add files from Dropbox, Google Drive, and URL to the interface for conversion. The editing tool of the program allows changing file parameters like frame rate, bit rate, size, audio codec, and others. If you need the similar conversion settings for future files, you can save them as well. The converted file can be easily downloaded from the interface itself. 1. How do I convert videos on Mac? There are a number of video converters for Mac that allows converting videos to different formats. Using one of these programs depending on your requirements, you can get your videos converted. You can pick from desktop software or an online video converter. One such decent option is Wondershare Free Video Converter for Mac that supports a wide range of formats for conversion. The Part 1 of this article shows the steps using this program for a video to MP4 conversion. 2. How do I make a video file smaller on Mac? If you are running short of storage space for your videos on Mac, compressing and reducing the file size is a good solution. Moreover, reduced-sized videos are easy to share on the internet or transfer through email or other means. 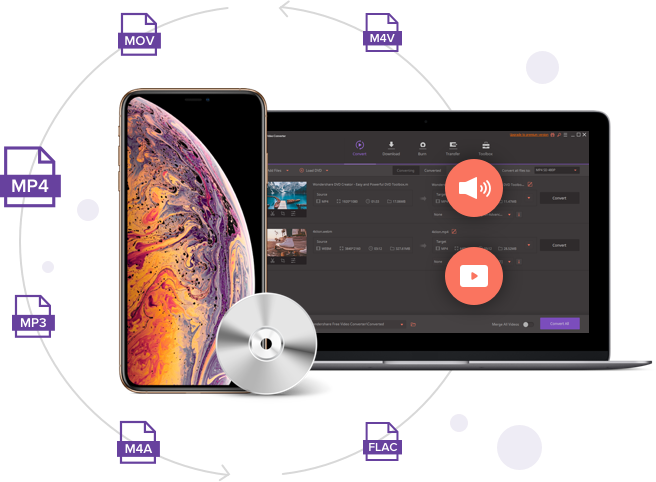 Good software can be used for reducing video size without compromising on its quality and Wondershare Free Video Converter for Mac is one such solution. Using the software, you can change the file size, its bit rate, frame rate, and other parameters to compress it. The process is simple and quick. Step 1: Open Wondershare video format converter Mac software on your Mac and click on +Add Files button to load the videos that you want to compress. Step 2: Choose the desired output format from the supported Video list. Click the edit icon next to the resolution option that will open a pop-up window. Step 3: From the Settings window, choose the video resolution, bit rate, and frame rate so as to reduce and compress the file size. Click the Create button to confirm the settings. Step 4: Click on the Convert All button to start video conversion and compression. 3. How do I capture video from Youtube? If you wish to download and capture the playing YouTube video on your Mac, a professional desktop or online program can help you with the same. Using one of these software, you can either download your YouTube videos or capture the running video on your system. You can pick from desktop software or an online program for the same. 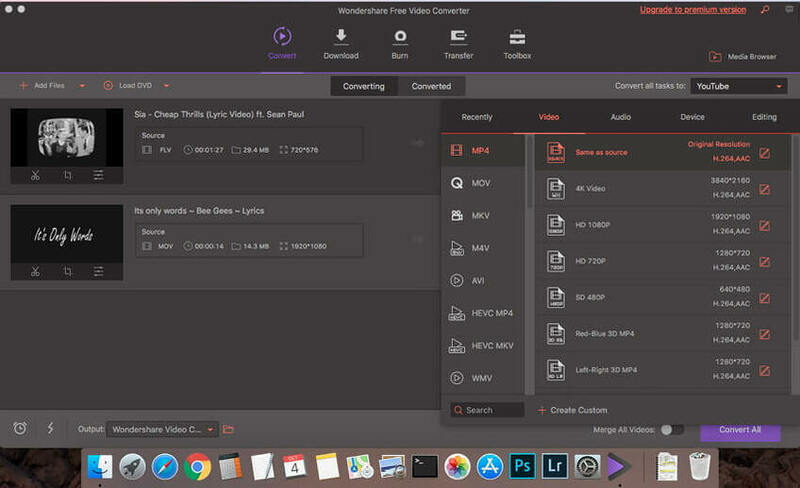 A few of these popularly used tools include Wondershare Free Video Converter for Mac, VidPaw, ClipGrab, and others which proves to be decent movie converter for Mac. The downloaded or recorded videos can then be converted to other desired formats or used for editing if needed. Audio files can also be extracted if only the music is needed from the YouTube videos. 4. How do I convert AVI to MPEG on Mac? 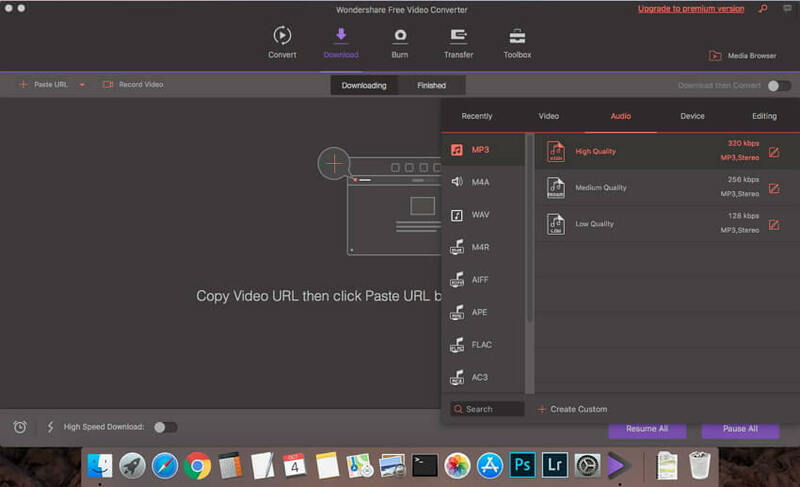 For all types of video conversion needs including AVI to MPEG on Mac, Wondershare Free Video Converter for Mac is a good program. Using the software, you can convert your files without any quality loss and at a fast speed. Step 1: Download video converter for Mac and then open the software. Import local AVI files by clicking the +Add Files button. Step 2: Open drop-down menu at the Convert all files to: option on the top-right corner and select MPEG format and desired resolution from the Video list. 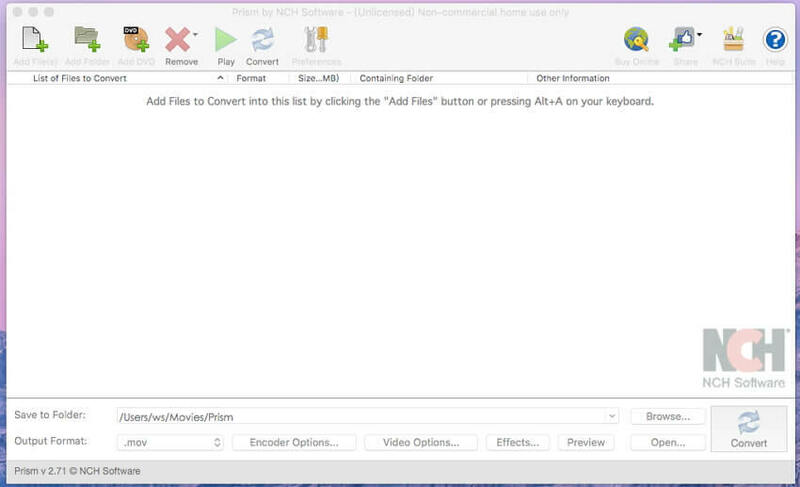 Step 3: Click on the Convert All button to start with AVI to MPEG conversion process. You can visit the link to learn more detailed steps and other information on AVI to MPEG conversion on Mac.